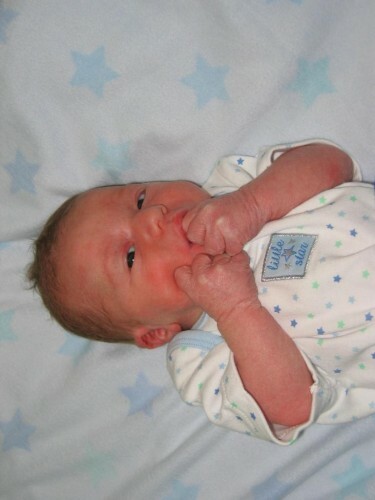 Our little star came shooting into the world at 6:11 pm on March 3rd, 2005. He weighed 8 lbs. 4.6 ounces, and was 20.5 inches long, Apgars were 9 and 9. Chanler and his mom are healthy, doing well, and resting at home. See how you and everyone else did, now that the results are in! In brief, Keri, Melissa, and Jesse are winners, but check out all the details! Now is your chance to show off your amazing ability (or lack thereof) to predict the future! Enter your guess (guessing now closed) in our Baby Pool, and have bragging rights forever!